Starting for AA Reading in July 1990, Gary D. Wilson went seven innings, giving up just four hits. Wilson, though, picked up the loss, rival New Britain winning by a score of 1 to 0. Wilson was in his third professional season that year in 1990, making the steady climb in the Phillies organization from draft pick, to AA Reading. He climbed further in 1991, to AAA Scranton. But Wilson couldn't climb further. His career ended after just four seasons, without making the majors. Wilson's career began in 1988, taken by the Phillies in the eighth round of the draft. The one-time San Antonio resident started that first year at short-season Batavia. At Batavia, Wilson went 4-9, with a 3.60 ERA in 15 starts. For 1989, he moved to single-A Spartanburg, going 3-7, with a 2.19 ERA. He got his first look at AA ball in 1990, with Reading. He got 21 starts and 12 relief appearances. One of those relief appearances was a rough one in May, Wilson hitting a batter and giving up a run. Overall, Wilson went 7-12, with a 2.44 ERA. 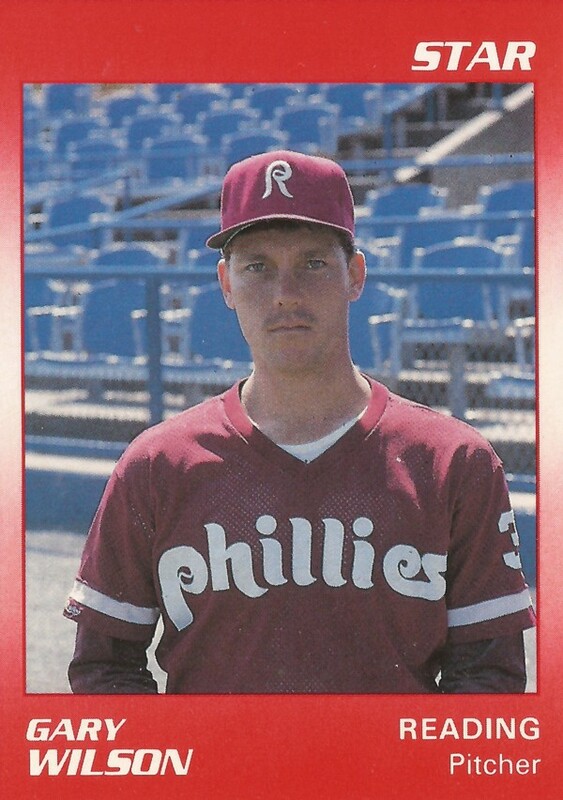 For 1991, Wilson moved up to AAA Scranton-Wilkes Barre, getting 10 starts and 30 relief appearances. He went 3-7, picking up a win in relief in June and another that month with three scoreless innings. In his third start in May, though, Wilson didn't make it out of the third inning, giving up seven runs. But it was his final season. In 104.1 innings, Wilson gave up 57 earned runs, ending his career.